Ultimately the musician decided to go in a different direction, but I got a lot of positive facebook comments for it. 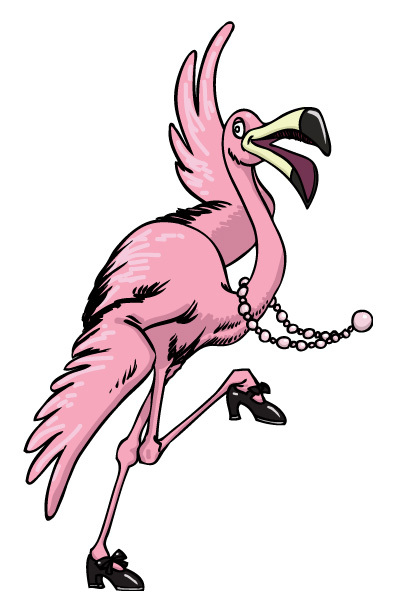 Recently I was looking for older work that might be fun to redo as watercolors, and this image came up. I like my watercolored version more than the vector art version because the lines are more delicate and don’t overpower the colors as much as some of the lines do in the vector art version. 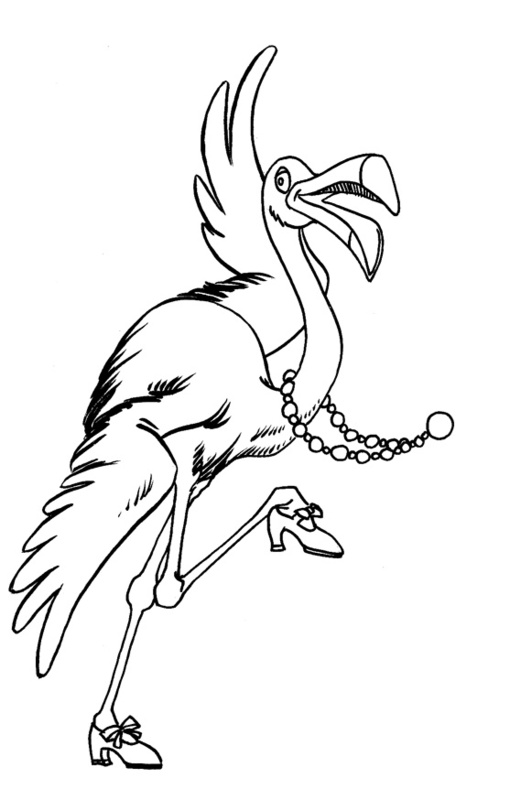 I also changed the pearl necklace to blue rather than pink, and I think that makes for a nice break in the colors. 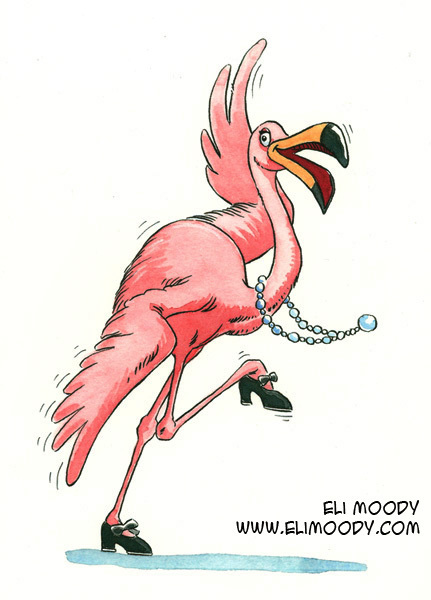 This entry was posted in illustration and tagged animals, dancer, eli moody, flamingo, illustration, pearls, pen and ink, watercolor. Bookmark the permalink.